Gene Townsend, The Patuxent Partnership Board of Directors president; left, Rear Adm. Shane Gahagan, NAWCAD commander, NAVAIR assistant commander for Research and Engineering; Rear Adm. Scott Conn, director for Air Warfare for the Office of the Chief of Naval Operations (OPNAV N98); Edward Wolski, deputy director for Air Warfare for the Office of the Under Secretary of Defense (Acquisition, Technology, and Logistics); Mark “Stick” Converse, CO for Association of Naval Aviation Squadron #18. The Patuxent Partnership and Association of Naval Aviation Squadron #18 held the 34th briefing in a co-hosted series that brings top brass to the Pax River community to offer informed and insightful panels on all aspects of naval aviation as it impacts the current military and defense industry. “Cleared for Takeoff: Innovation in Naval Aviation” spotlighted leaders in Navy aviation research, engineering, development, and test. All the panelists emphasized the need for innovation is immediate and imperative in all these areas. They also agreed that the new military budgets and tone in Congress is providing the support needed for innovation to take place. Inventory management and training remain areas of opportunity for innovation, including the increased reliance on live, virtual, and constructive (LVC) testing and training. Edward Wolski, deputy director for Air Warfare for the Office of the Under Secretary of Defense (Acquisition, Technology, and Logistics), says one of the greatest opportunities for innovation in naval aviation is in solving inventory management challenges. Mr. Wolski argued that those people exist in the workforce now, and though the Navy and Marine Corps are doing well in some areas to encourage innovation, in many ways current policies and culture still prevent it. Though the system presents a challenge, Mr. Wolski says it isn’t necessarily a barrier. Innovation is exactly what panelist Dr. Knox Millsaps does at the Office of Naval Research, the oldest research funding organization in the nation, where Millsaps serves as director for the Division of Aerospace Sciences with the Air Warfare and Weapons Department. The Air Warfare and Weapons Department deals with missiles, aircraft, lasers, microwaves, “weapons that go through the air,” he said. Their research typically concentrates on two issues: speed and range. “They tend to be mutually exclusive, or at least competing things,” said Dr. Millsaps. The focus, Dr. Millsaps said, is to tweak the combination of speed and range to optimize the lethality and survivability of air weapons. 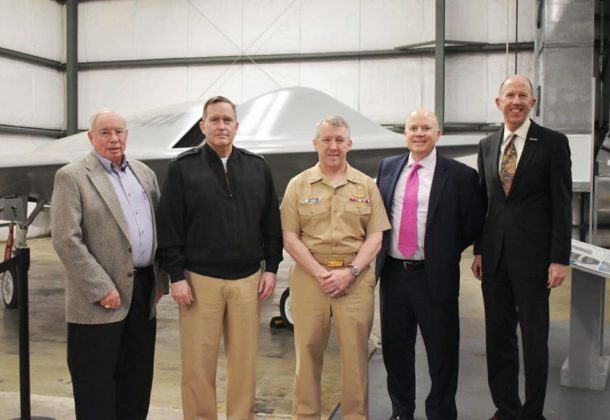 Rear Adm. Shane Gahagan, NAWCAD commander and NAVAIR assistant commander for Research and Engineering, discussed a number of programs designed to move product and people more efficiently toward innovative results. Among the most promising are the growing development of model-based system engineering for training and high-speed computer models for speeding design decisions. Using computer modeling to make quicker and better design decisions addresses a multitude of inventory challenges and historic acquisition delays. Having decisions turned around in a day could be a game changer in how quickly aircraft reach the battlespace. “We need to get products out there 50 percent faster. The adversary’s [product] might not be as good, but quantities are out there,” said RADM Gahagan. The next TPP-ANA briefing is slated for mid-September. Mark “Stick” Converse, CO for Association of Naval Aviation Squadron #18, welcomes ideas for future briefing topics.